The Windows Fall Creators Update installed the Mixed Reality Viewer app on your Windows 10 machine, even if you didn’t know it was there. Do a quick Cortana search and open the Mixed Reality Viewer app to play around with 3D models – either one you have created in Paint 3D or downloaded from Microsoft’s library of thousands of 3D models. If you own one of Microsoft’s Windows Mixed Reality partner headsets or want to start playing around with 3D and mixed reality development, this app is your way to start a possible new career! Of course, if your PC has not been updated with the Windows Fall Creators Update you can still ask Cortana to open Mixed Reality Viewer but she will offer you the 3D Viewer, which is an app from the Microsoft Store. This can still create great 3D models and there are plenty of templates you can base your models on. Recently we had a Dell Laptop in for repair, running Windows Vista, that had a damaged user account that could not be accessed. This is a typical ‘Vista User Profile Service’ problem and there are certainly still plenty of posts across the Internet about this difficulty. It seems to occur when there are two or more user Profiles set up. But there are a small number of single users who also report the same problem. It does not seem to matter whether the users are ‘administrators’ or ‘standard’ users. It seems that the affected users Profile has somehow been damaged and is frozen. As a result, Vista has changed the Profile’s extension to .bak – a backup file. This makes the user Profile unavailable and so produces the message: ‘The User Profile Service failed the logon‘. This laptop exhibited the same User Profile Service problem. Thankfully it had two user accounts set up, one administrator and one standard user. It was the standard users account that had frozen. Of course if you are the only user of your PC you’ve probably got only one user profile set up and you are no doubt the administrator. So if this account is frozen your only option is to try and repair Windows Vista. Turn on your computer, and press and hold F8. You will see on the screen that appears the option to ” Repair Your Computer”. Select this and hit Enter. (use your own administrator user name and password). On the next screen you will see the first Category “Startup Repair”and the second “System Restore”. Click on Startup Repair. When this finishes restart your computer. If the Startup Repair doesn’t work try the second option – System Restore. Again when its done, restart your computer. There are several good reasons why you might want to take a screenshot in Windows 10, but the built in screenshot controls aren’t exactly obvious unless you already know what keys to click. Here are three built-in Windows screenshot keyboard shortcuts, most of which will also work in earlier versions of Windows. The old screenshot standard still exists in Windows 10. Just press the PrtScn button on your keyboard and your entire screen is copied to the Windows clipboard. From there you can paste it into any program that allows you to paste in an image, such as Paint, GIMP and Photoshop. An upgraded version of PrtScn available since Windows 8 is Windows key + PrtScn. Tap those two keys simultaneously and your screen (or screens) will “blink” fora second, just like a camera shutter opening and closing. Open your Pictures folder and then open the new Screenshots folder that has appeared, and your screenshot will be sitting there waiting for you. If all you need is a screenshot of the current program you’re using – such as Chrome, Word, Excel, or PowerPoint just tap Alt + PrtScn. That will copy an image of the window currently in focus to the system clipboard. Just like using the PrtScn shortcut, you can then paste the image into a photo-editing app or some other image-friendly program. Have you ever wanted the power button on your PC to do more than just turn off your computer? Fortunately, the Control Panel’s Power Options lets you change what the power button does, and there’s one power-button option which lets you shut off all the displays in a multi-monitor setup without your PC going to sleep or logging out. This process should work on all machines running the Windows 10 Creators Update. First you need to open the Control Panel and select System and then Power & Sleep. Now select Additional power settings. In the Control Panel, click Change plan settings next to whichever radio button you use for your usual power plan. 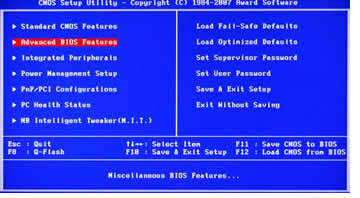 In the pop up widow, each Setting is shown in blue and may already be set to Shut down. Now click the Setting you want to change and the blue text changes to a drop-down menu. You can choose Do nothing to deactivate it, choose Sleep, or Shut down, or Turn off the display. For our Option to work you should Select Turn off the display, click Apply, and then OK.
Now test it out by pressing your power button and your monitor(s) should just turn off. Hit your space bar or shake the mouse and your monitors come right back with no account login necessary. Here are some of the things that could be causing this, such as a program constantly running in the background that hangs (a typical resource hog), insufficient RAM that takes a long time to dump, 3rd party anti-virus program (this can be a big problem if you have two Antivirus programs installed), scheduled maintenance programs that run at shut down (i.e. back-up) and of course system problems in general, often caused by adware, spyware and viruses. Run Windows Update. To do this just click the Windows icon in the lower-left corner of the task bar screen and select the settings cog. Select Update & Security and run Windows Update, which may fix the problem. Right Click the Windows icon in the lower-left corner of the task bar. Select Settings and then Troubleshoot. Under ‘Get up and running‘ select ‘Windows Update‘ and then Run the Troubleshooter. If there were any shutdown issues they should now be fixed. Close the window, restart your PC and check if the shutdown problem is gone. If the issue is still not resolved, try resetting your PC. Caution: Read what will happen during reset very carefully. In fact, you may want to have pen and paper handy to write down those Applications and/or Programs that may not be retained after a Reset. These will either have to be downloaded or re-installed from a DVD. To carry on with the resetting of your PC just click the Windows icon in the lower-left corner of the task bar screen and select the settings cog. Select Update & Security and click on Recovery and under Reset this PC click the Get started button. If the slow-shut down issue is still not resolved, try the following steps. If you do not feel confident that you can perform the tasks shown below then I suggest you seek some professional assistance. However, if you do go ahead, this step may take quite some time so try to be patient. The good thing about using MSCONFIG to sort out your shutdown problems is that no Apps or Programs will be removed during the process. Right Click the Windows icon in the lower-left corner of the task bar and select Run. In the resulting box type msconfig and then OK. When you see the System Configuration panel click on the Services tab. Click on the box Hide all Microsoft services. Now uncheck all the 3rd party programs that you personally installed such as an AV program. Do not uncheck Intel, NVIDIA or AMD services. Now click OK and finally Restart. Now shut down your PC to see how long it takes. If your PC now shuts down faster, then you must follow the same procedure as above and turn all the services that were turned off back on. With Hide all Microsoft services checked continue to repeat the process of “on/off” for each 3rd party service (one by one) until you duplicate the slow shut down problem thereby identifying the offending program, which can then be deleted and perhaps reinstalled . The slow-shut down issue should now finally be resolved. Your devices collect all kinds of information about you to provide helpful services and deliver so called targeted advertising. To help reduce the impact of these less than helpful services you may want to restrict your personal location information that’s stored in Windows 10. So, here’s how to turn off location services in the Windows 10 Creators Update and delete your personal location history. Some Windows Store apps in Windows 10 require your current location to work correctly, while others would like it in order to tailor your experience. Before you turn off location services keep in mind that any location-specific services or apps will no longer be available to you. If that’s okay with you, open the Settings app by clicking the Windows Start button and then selecting the cog icon in the lower left-hand corner. In the Settings app go to Privacy > Location and turn off the slider labelled Location service. If restricting your location data systemwide is too extreme, Windows 10 lets you do it on a per-app basis. However, this feature will only work for apps built with the Windows Store platform. In the Settings app go to Privacy > Location, and toward the bottom of the screen is the heading Choose apps that can use your precise location. This is followed by a list of apps that want to use your location, each with a corresponding on/off slider. The only one you can’t change is Cortana, because the personal digital assistant requires your location to work. Other than that, you can restrict access to your location on a per-app basis. Next, it’s time to delete location history. You can do this regardless of whether you’ve turned off location services for your device. In Settings > Privacy > Location, scroll down to the sub-heading Location history. Click the Clear button in that section to erase your location history on your PC or tablet. Once the history has been cleared, a checkmark appears next to the Clear button. That was easy enough, but we’re not finished yet. Your location history is also stored on Microsoft’s servers. Below the Clear button, click the link labelled Manage my location info that’s stored in the cloud. That will take you to the location section of your Microsoft Account’s privacy settings. On the right-hand side of this page look for the section called Clear location activity. Under that heading is a button with the same title. Click Clear location activity and a pop-up appears asking you to confirm your choice, because you cannot undo this action. Click Clear and you’re done. If you want to be extra-sure, refresh the web page and you’ll see that the map it displays no longer shows any location data. That’s all there is to clearing your location activity in the Windows 10 Creators Update. If you don’t want your location used at all, you should restrict your browser from asking for your location as well. By default, this pop-up calendar shows the current month, with today’s date highlighted. You can use the up and down arrows just above the calendar headings to scroll back and forward one month at a time to find a specific date, but there’s a much faster way to navigate around this app. Click the date heading, which shows the current month and year, to replace the current month’s calendar with a list of months in the current year, with the current month clearly highlighted. You can then use the up and down arrows to move through the calendar one year at a time, or click the Year heading to switch to a display of decades where you can choose the exact year you want. If you decide to connect your personal or work email account to the Windows 10 Calendar app, you can see appointments, meetings, and events for the selected day in an agenda view just below the pop-up calendar. The only setup you need to do to make this view possible is to open the built-in Calendar app and add each of your online calendars to it. Click the Settings icon, then click Manage Accounts. Any accounts you’ve added from the built-in Mail app will appear here. If you want an account to show only mail and not calendar appointments, open the account settings, scroll down to the Sync Options section, and slide the Calendar switch to the Off position. After you set this up, you can ignore the Calendar app completely. If you use Google Calendar on the web, for example, you can continue to manage appointments and events in your browser, and they’ll show up automatically in the Windows 10 agenda view. The same is true if you use Office 365 or Outlook.com with Microsoft Outlook. Each calendar you attach gets its own colour coding. Appointments in the agenda have a matching stripe at the left so you can tell at a glance whether an upcoming appointment is from your personal or work calendar.